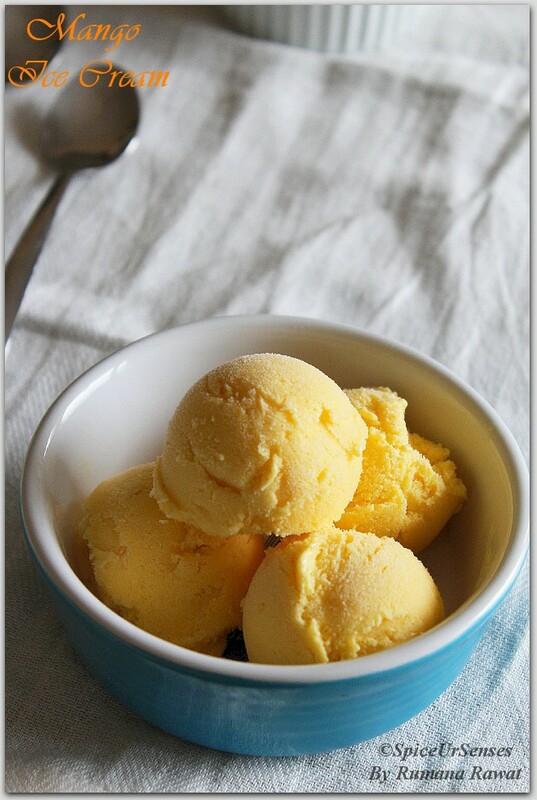 Mango Ice Cream (Home Made Without Ice Cream Maker) who will say no to ice cream and that to home made and mango ice cream. I will never!! Mangoes are the fruits which is very versatile and can be use in almost every recipe. Even I cook many dishes using raw mangoes or ripe. I'am a very big mango eater and I wouldn't mind eating them in any forms. 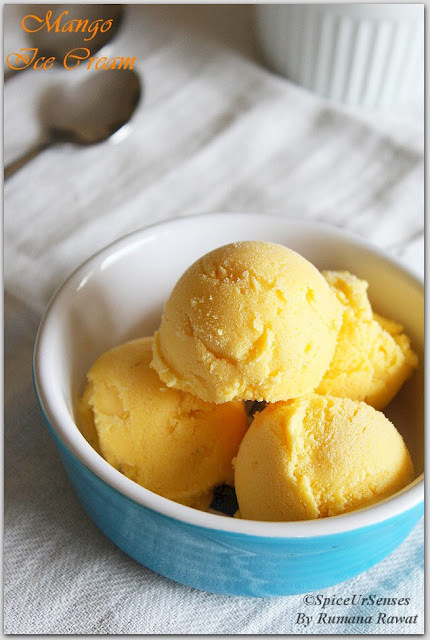 To satisfy the carving of mangoes I usually store them in a refrigerator to use when they are not in season.. Do try the recipe and enjoy with your family.. In a large mixing bowl. Add the cream and condensed milk and whipped till it becomes thick and creamy. 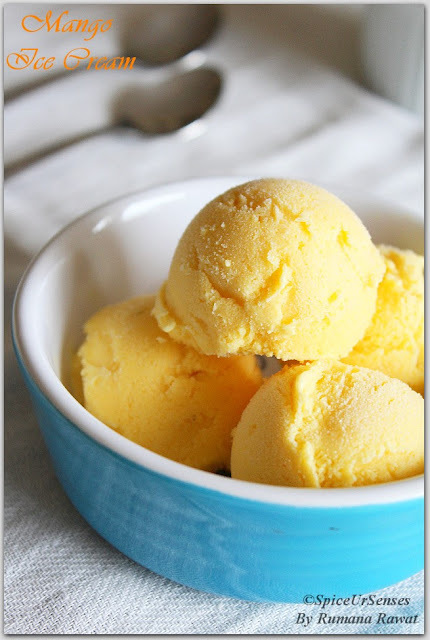 Add the vanilla and pureed mangoes and give a quick mix. Transfer it to any airtight container and freeze it for about 6 to 8hours. 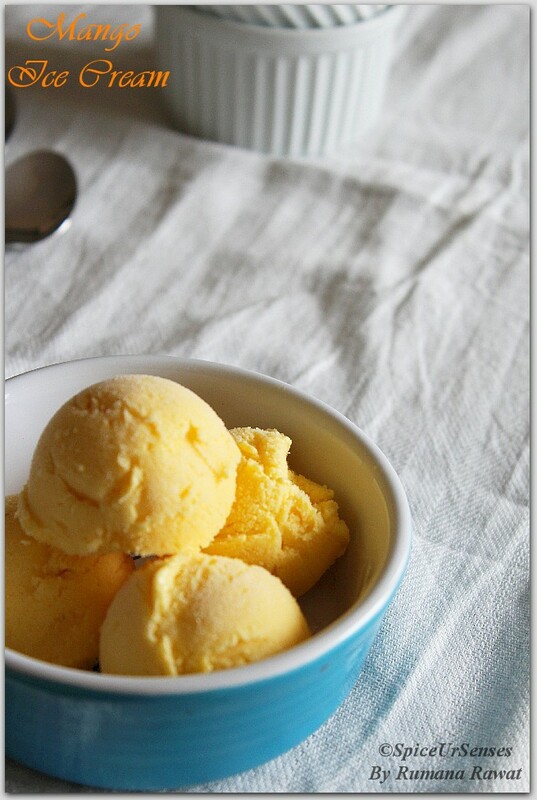 I love no churn ice cream...this looks creamy yet very fruity. Thanks dear!! Will definitely visit.